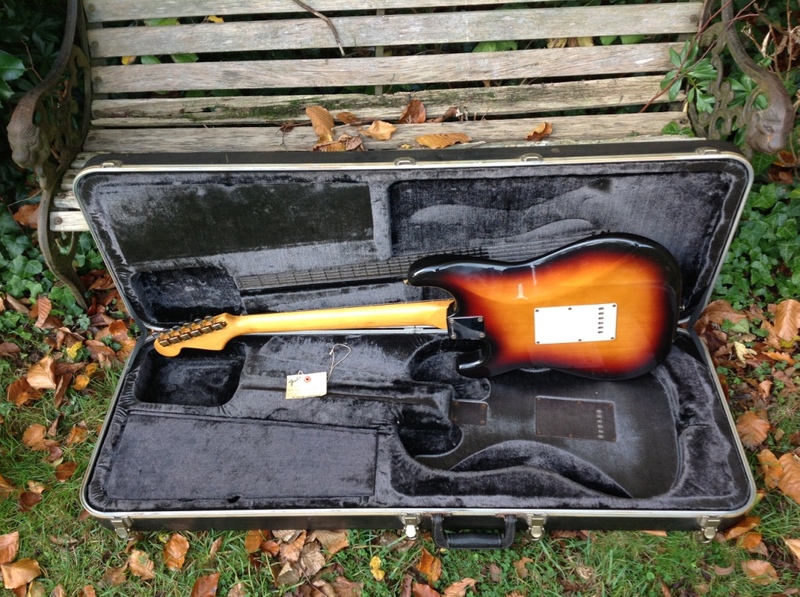 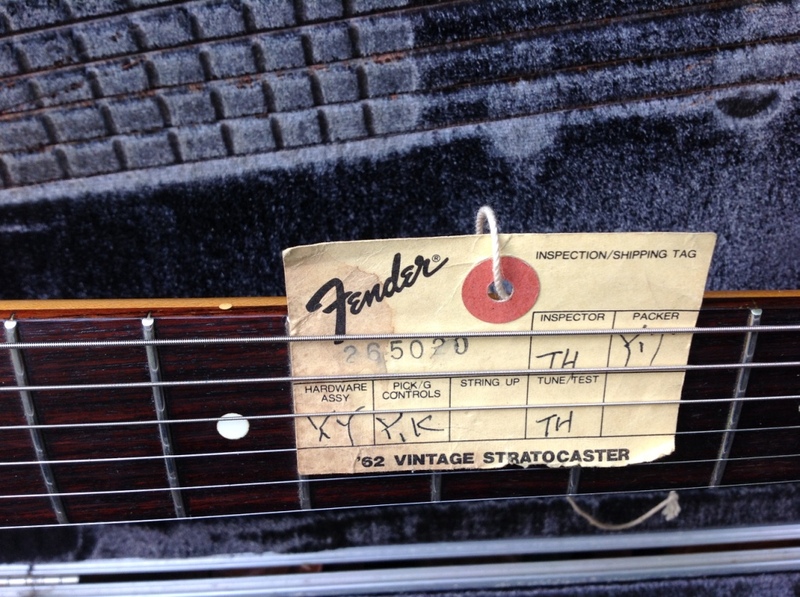 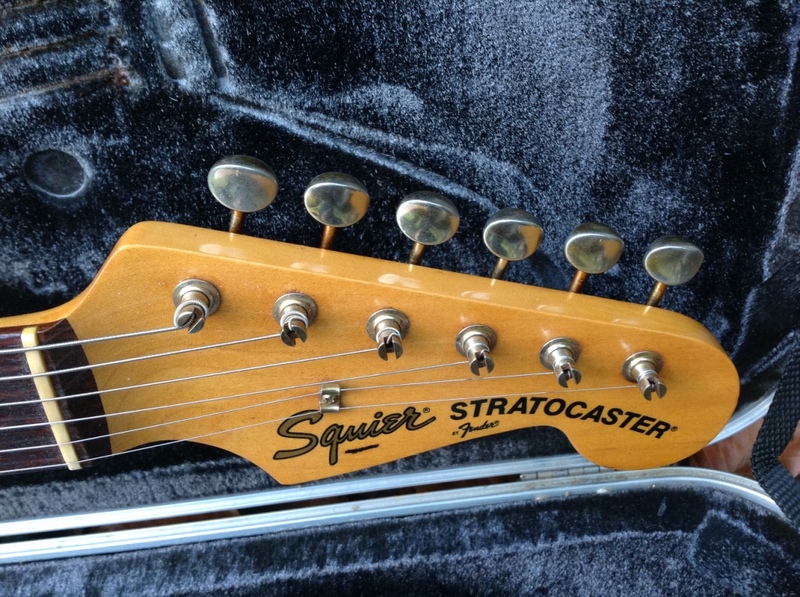 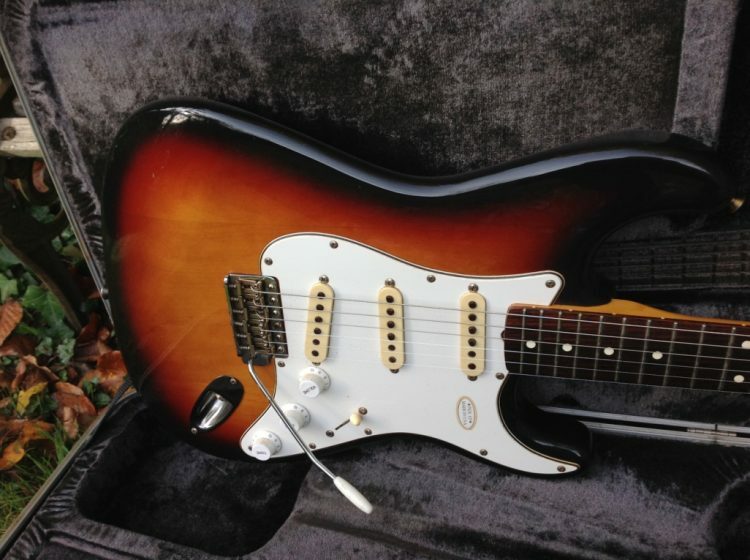 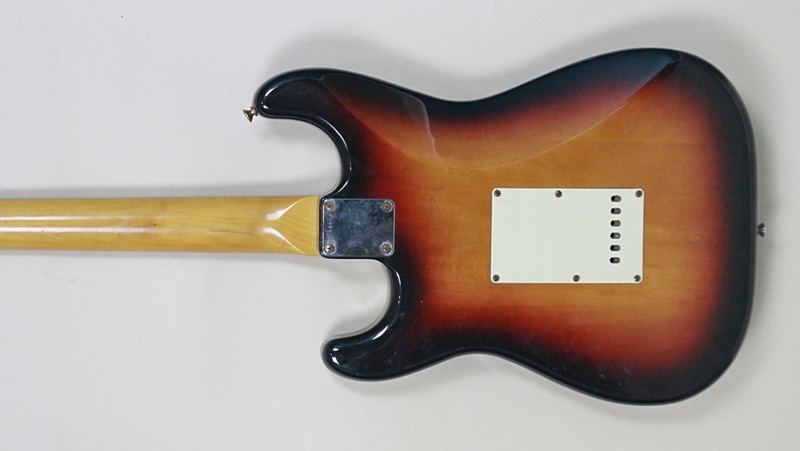 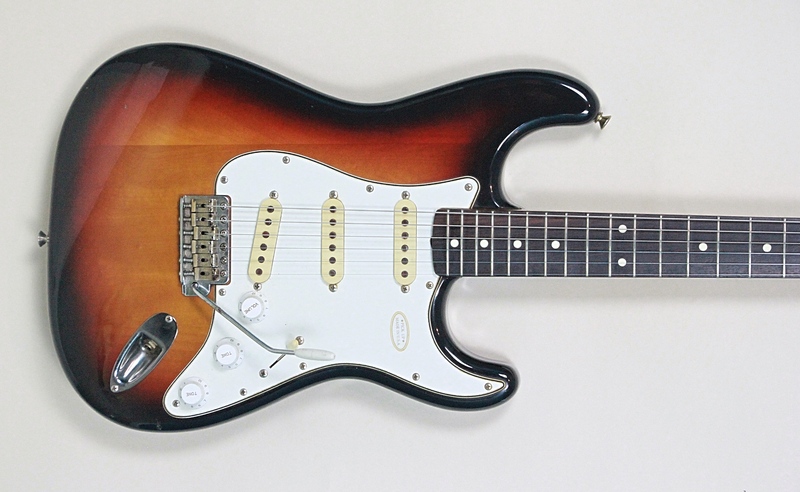 Here is collectors dream, a factory fresh 1983 JV Squier Stratocaster with original hang tag, tremolo arm and case. 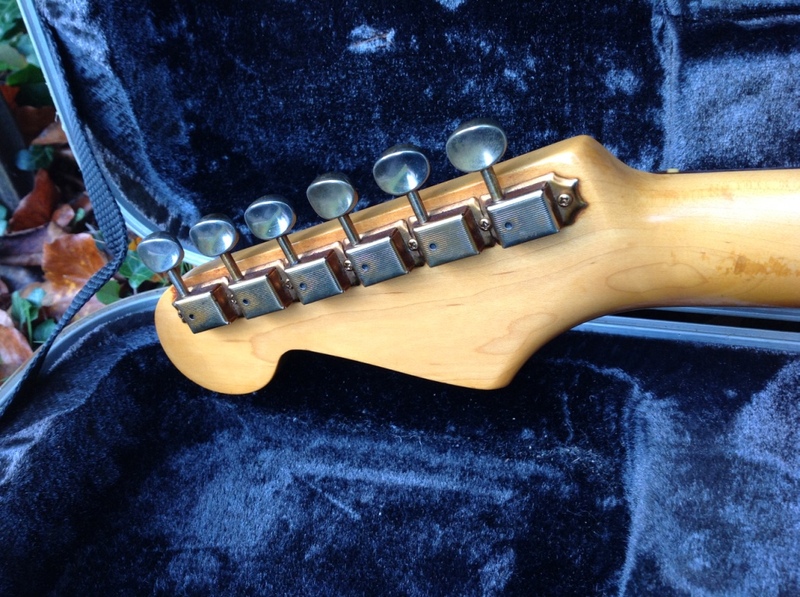 Shows just the lightest of wear over its 34 years. 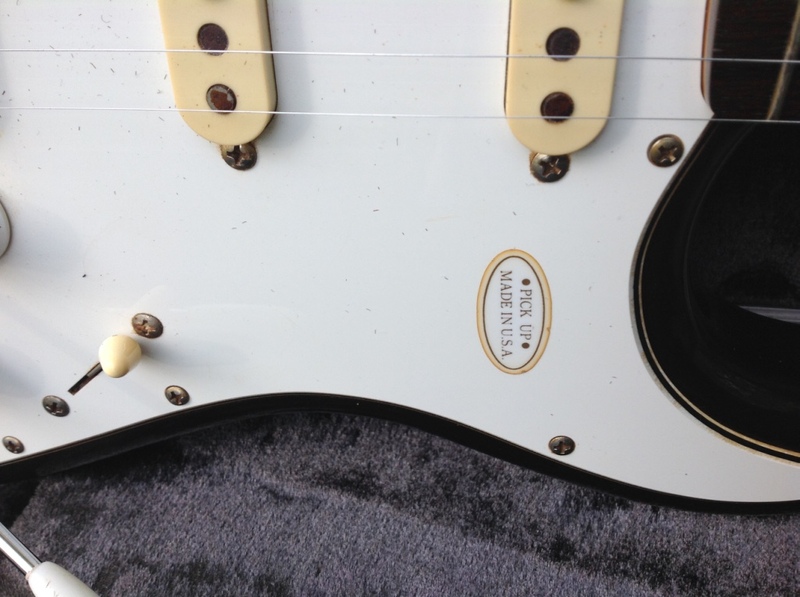 It even has the original “USA Pickups” sticker on the guard. If that wasn’t enough it has gold hardware! 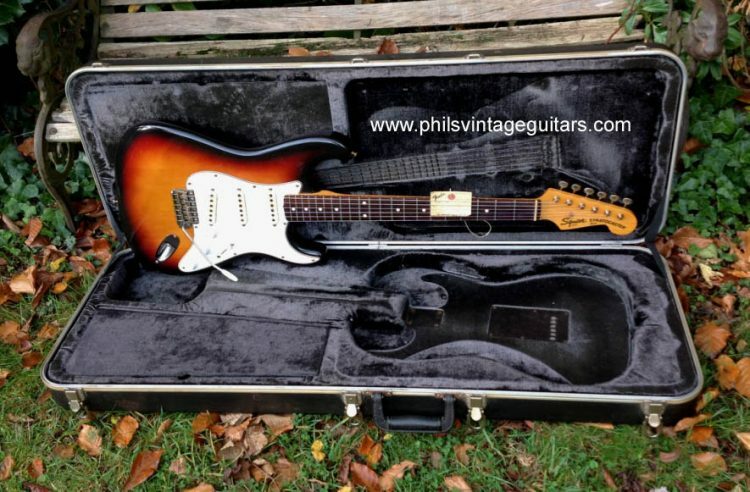 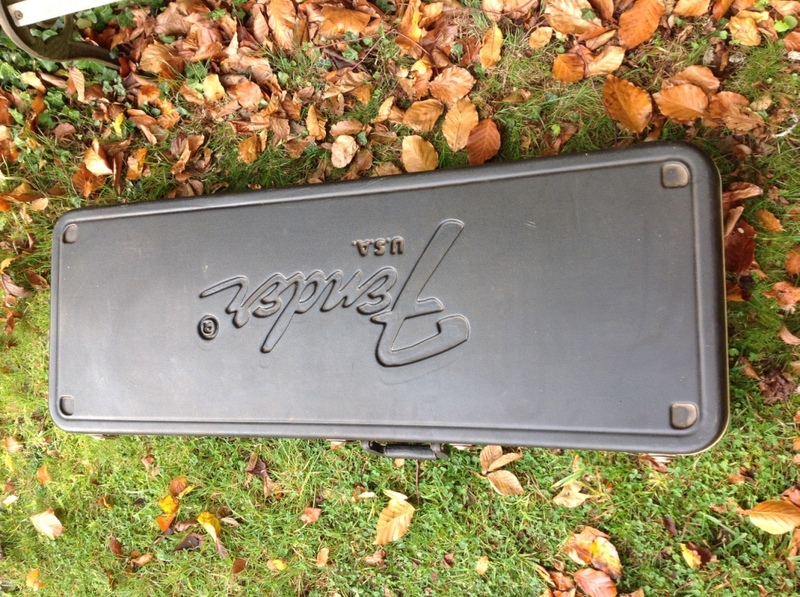 Comes in its original black Fender case.